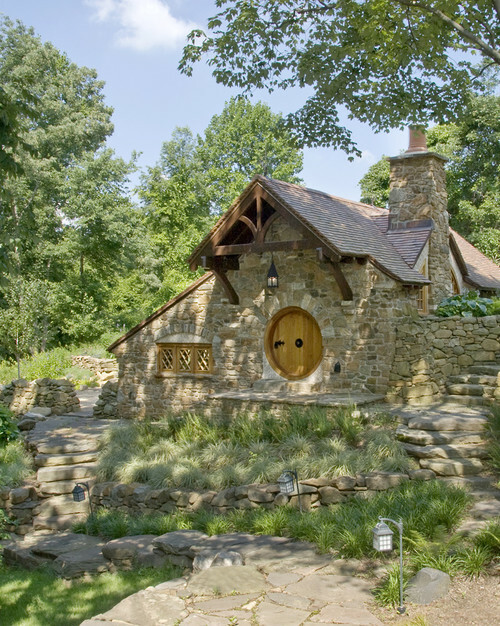 Rustic Exterior by West Chester Architects & Building Designers Archer & Buchanan Architecture, Ltd. 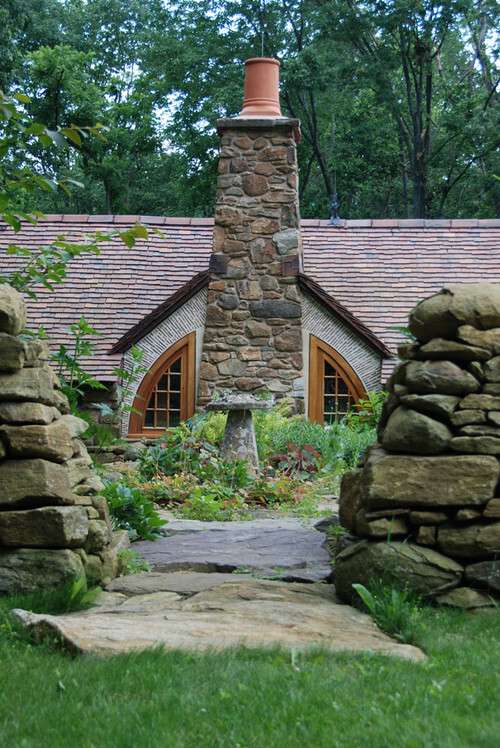 If I lived here, I’d sit by a flickering fire and read my favorite books (which would be piled high on the shelves! ), and I’d spend my summers outside growing a little garden! Rustic Living Room by West Chester Architects & Building Designers Archer & Buchanan Architecture, Ltd.
Rustic Entry by West Chester Architects & Building Designers Archer & Buchanan Architecture, Ltd.
Rustic Landscape by West Chester Architects & Building Designers Archer & Buchanan Architecture, Ltd. Your turn! What if you lived here? PS. We collect J.R.R. Tolkien books and recently found this cute one illustrated by Jemima Catlin. I’ll have to show you how cute it looks in my entry soon! I would do exactly what you would do – with the addition of a nice afternoon tea. Sigh…. I know I’m hyper-clumsy, but does anyone else fear they’d trip going in + out via that front door? Still, it’s quite gorgeous. Ditto on the reading + the gardening — it’s also fun to have a Netflix film festival every winter. We’re big fans of independent + foreign movies. Pass the popcorn! P.S. LOV-ing that pair of topiary trees (a.k.a. “lollipops”, as the Brits call them) in the front garden. 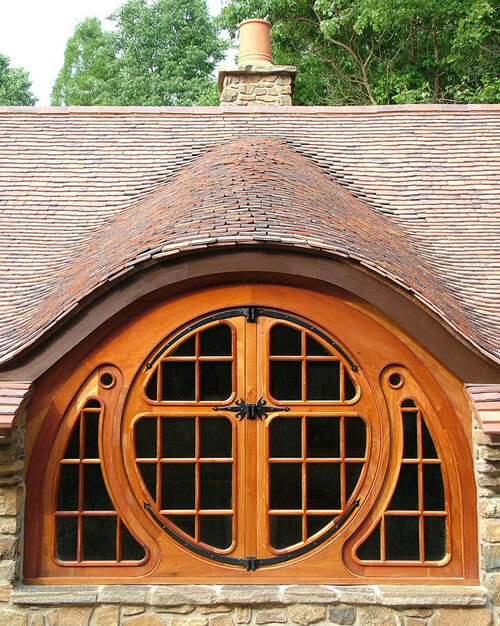 I love how those little Hobbitt houses have so few hard angles to the architecture, just soft curves. I’m sure that adds to the construction costs! How I would love to have an even smaller version of one of those out back of the house as my sewing studio surrounded by a cottage garden. What a creative environment that would provide! I am so excited to see this post. 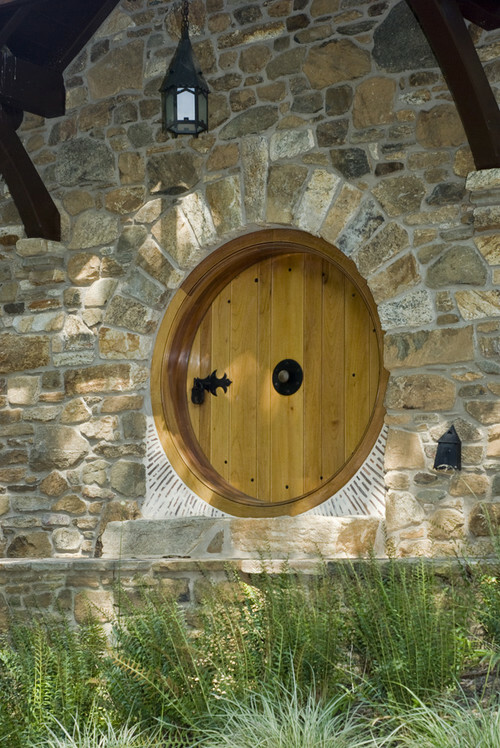 I have always told my husband I wanted a Hobbit house and he thought I was crazy… so now I have one to show him. I would raise goats and chickens and have a rose/herb/vegetable garden. I would have to add a pond in the back so I could teach my daughter to fish. We would spend our days painting and reading and enjoying all the wonders of nature. It’s so darling! I love everything about it. I don’t think I could realistically live in it full time. I know it’s small size makes it’s charming. It would be a great guest house though. My children and many grandkids would love to in such a house. It’s a place to day dream. I LOVE IT!!! I’d live there in a New York minute! Sigh…. I would be endlessly happy there with my cat. 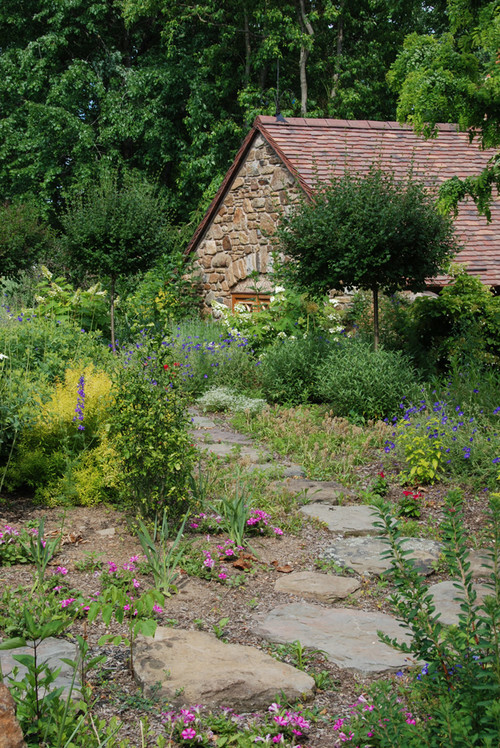 Reading by the fireplace in the fall and winter and growing lots of flowers and vegetables outside… Just Heavenly. I would love a little place like this, but for me only (no hubby or son allowed)! 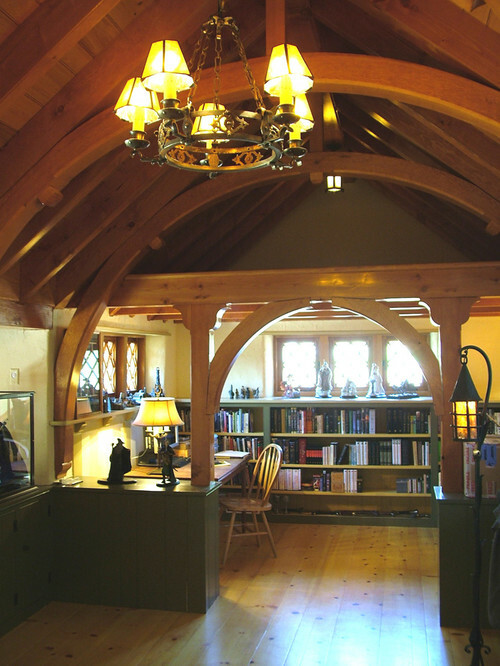 I would use it as my retreat for crafting (since my current space is much smaller), then put a comfy chair or chaise by the fireplace for reading. I would also need a TV or large computer screen for movie watching as I love to have them play while I craft. I love the look of the interior, it is so warm and inviting. I would love this home! 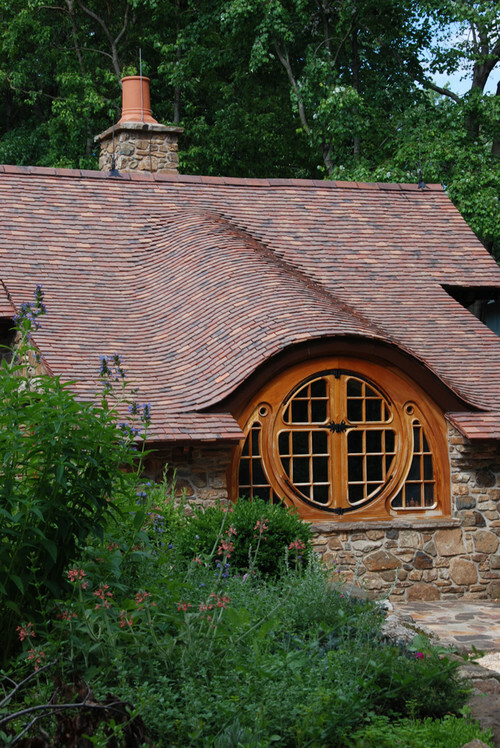 I’m a huge Tolkien fan and can just imagine reading quietly all snuggled up in front of the fire or gardening in the summer. Beautiful bouquets fresh from the garden displayed with loving care around the quaint home. This home is welcoming and comforting! I love this little place! I would love to stay here too. Wish it was on airbnb! Very cute! I could see building one of these in the middle of our property. I would have a half-door so that my horses could come and say “Hi” every so often but not come in. 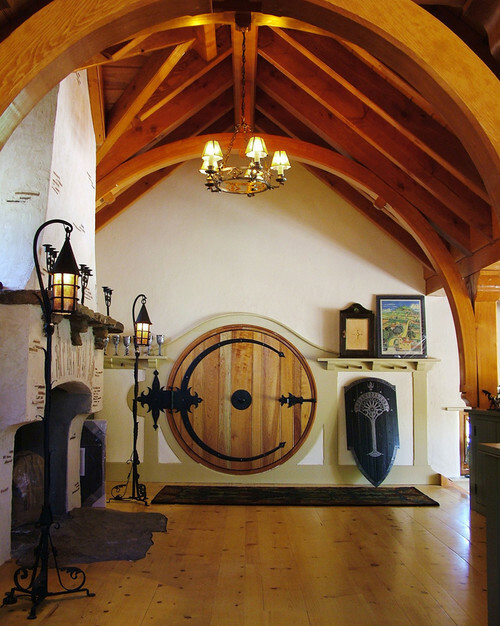 I have loved these homes since the first time I saw Lord of the Rings about 15 years ago! Such amazing and unique architecture! BUT… if I lived there I would be black and blue from tripping in and out those rounded door frames :) I’m not the most graceful girl that ever walked the face of the earth… in a house like that, I think my face would be in constant contact with the earth!